Try Devil's Gold Club Set and Queen Bogie for FREE! 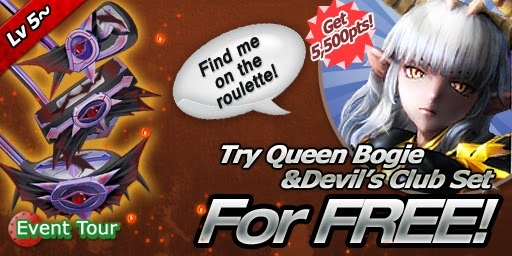 Score 5500 pts+ for the roulette chance on Queen Bogie! Putting survival in notorious Castle of Bogie!